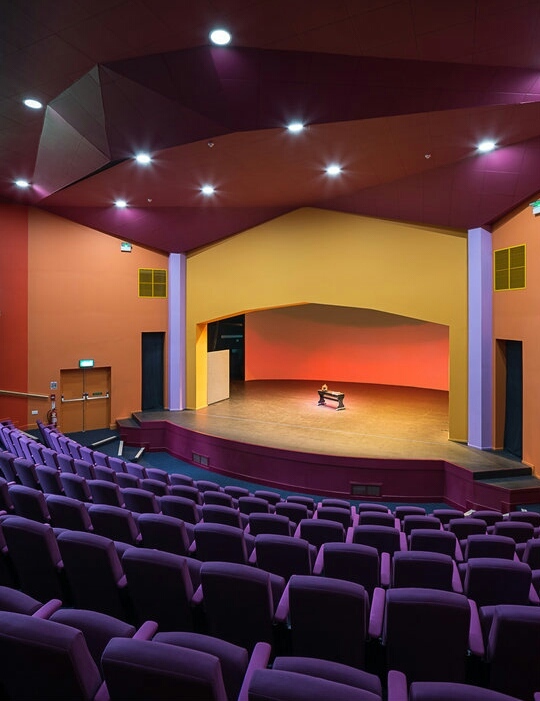 Invited musicians will be joining together to perform in this newly refurbished venue. 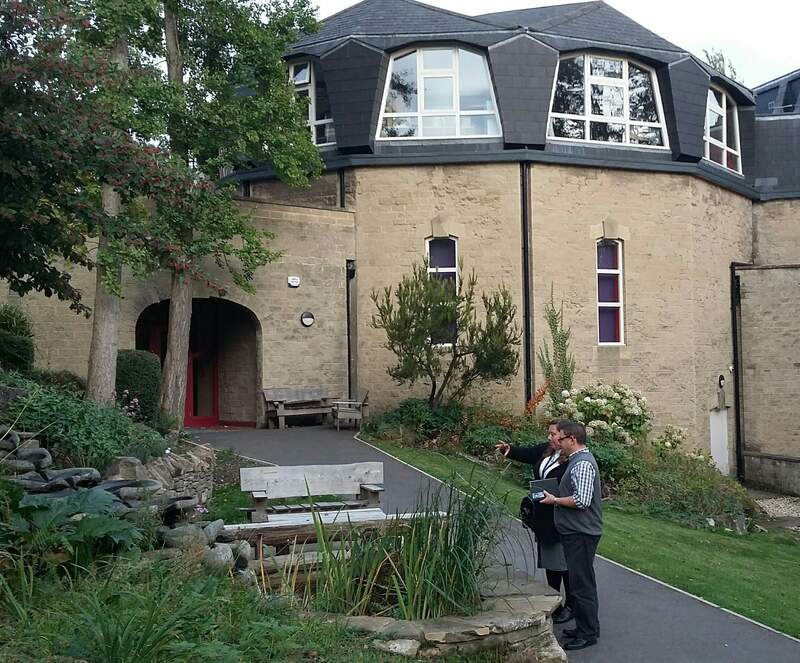 Over One million pounds has been spent rebuilding the theatre after damaged caused by the Sheffield floods. 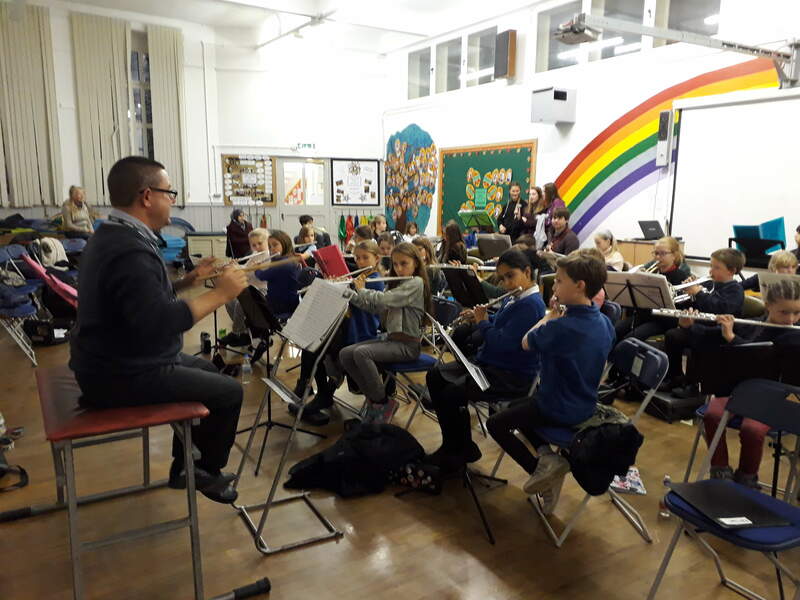 Mr Corker and Miss Walmsley are very excited to be able to offer the opportunity to our young musicians to perform in such a stunning venue. 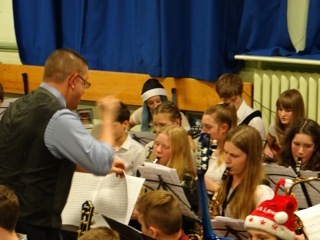 Invited musicians from across eleven different schools joined together to perform in a massed band and choir at this festive event. 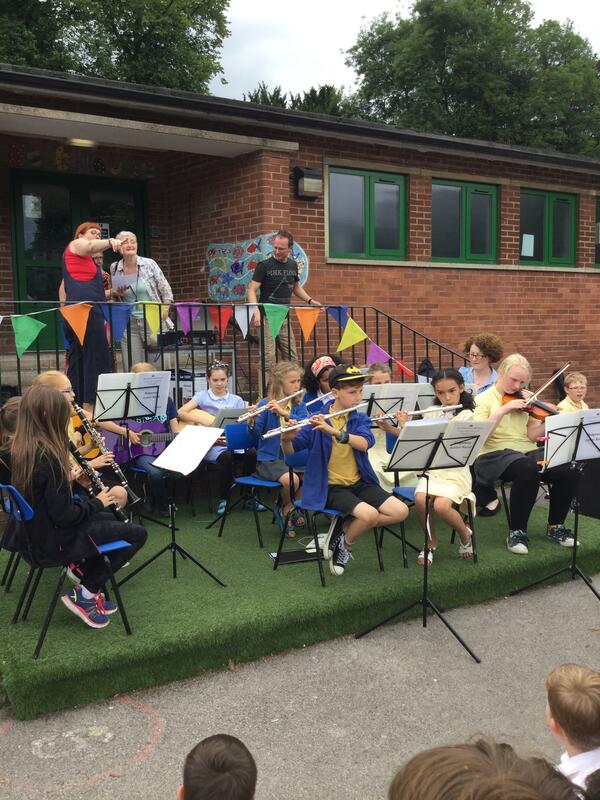 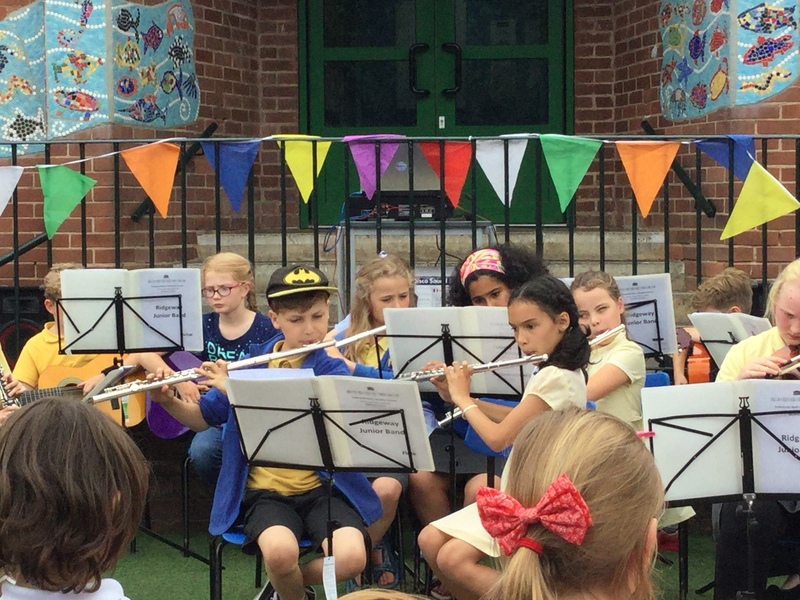 The Carterknowle Junior Band will be performing a set at the Carterknowle and Holt House Summer Fair. 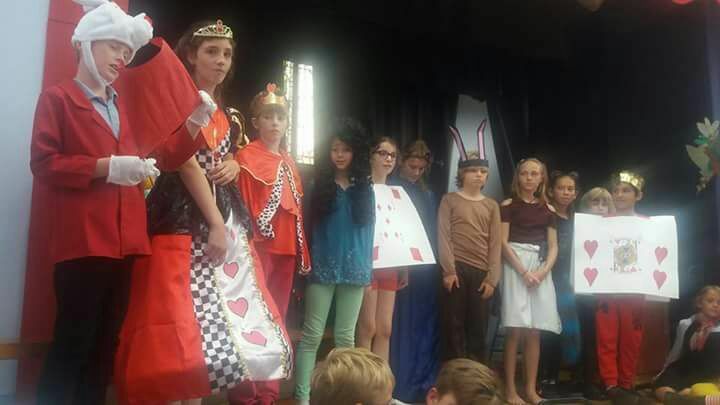 Mr Corker will be leading a performance of 'Alice the Musical' performed by the junior aged pupils form Hope Primary from the piano. 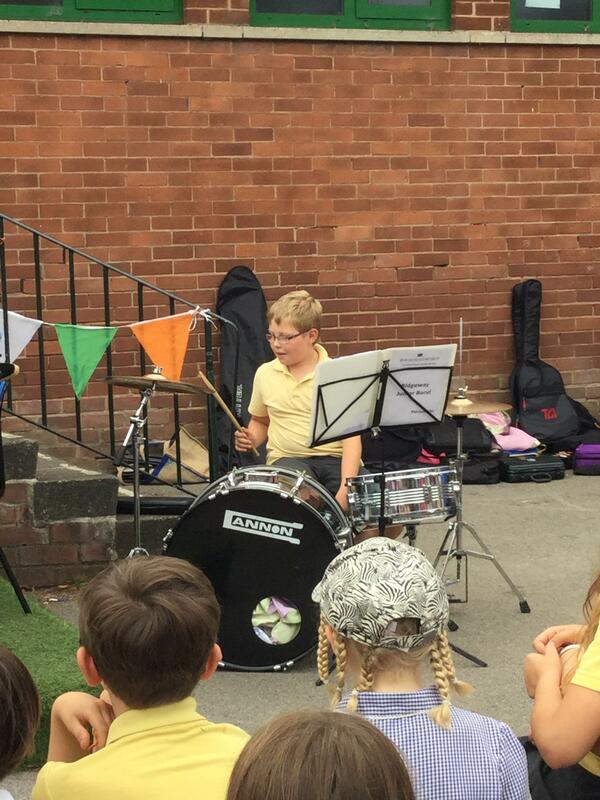 The school Band and Singers will be performing during the morning assembly from 9-9.30am. 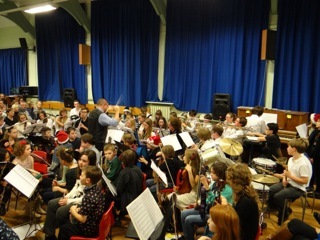 A chance to hear the school band and singers perform their favourite pieces from this year! 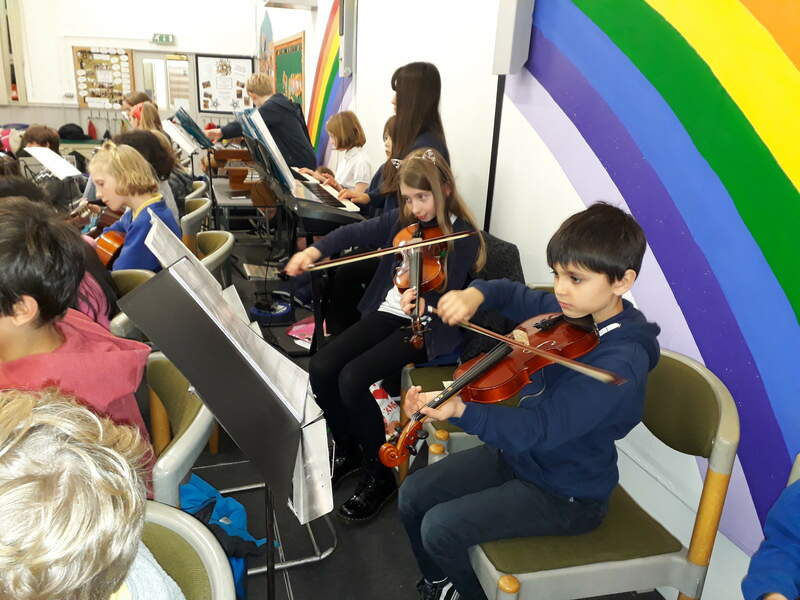 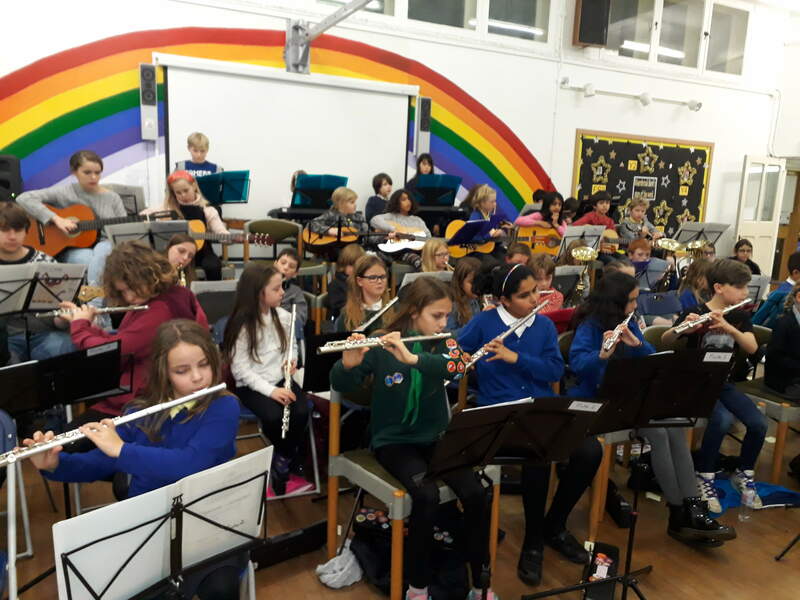 The concert will also feature performances from the Charnock String Group, Flute Ensemble, Guitar Group and solos from a number of the schools instrumentalists and vocalists. 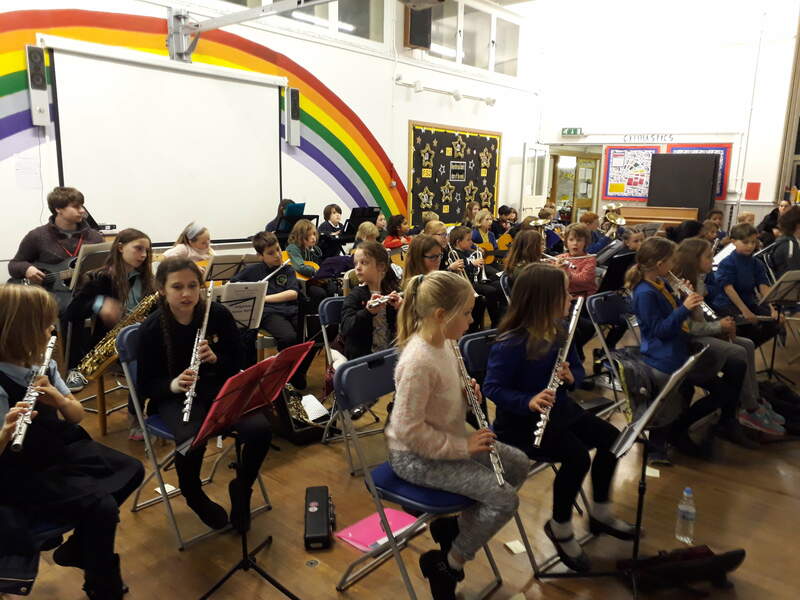 The evening will include performances from both the Woodseats School Band and the Ridgeway concert Band, as well as Woodseats School choir, Recorder & Music Theory groups, soloists and small ensembles. 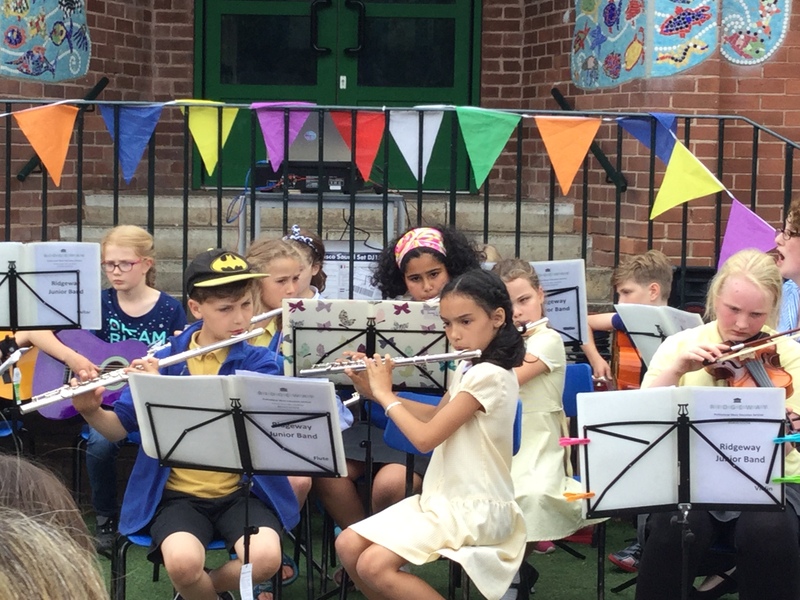 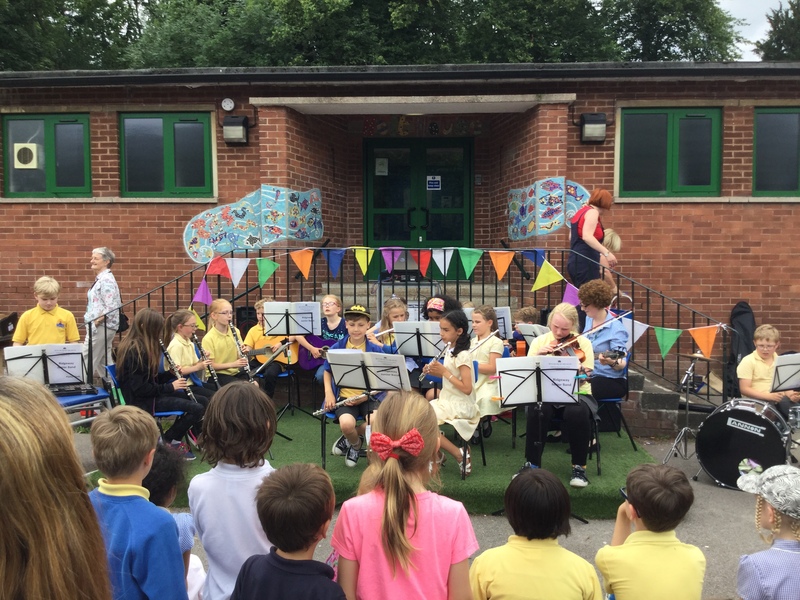 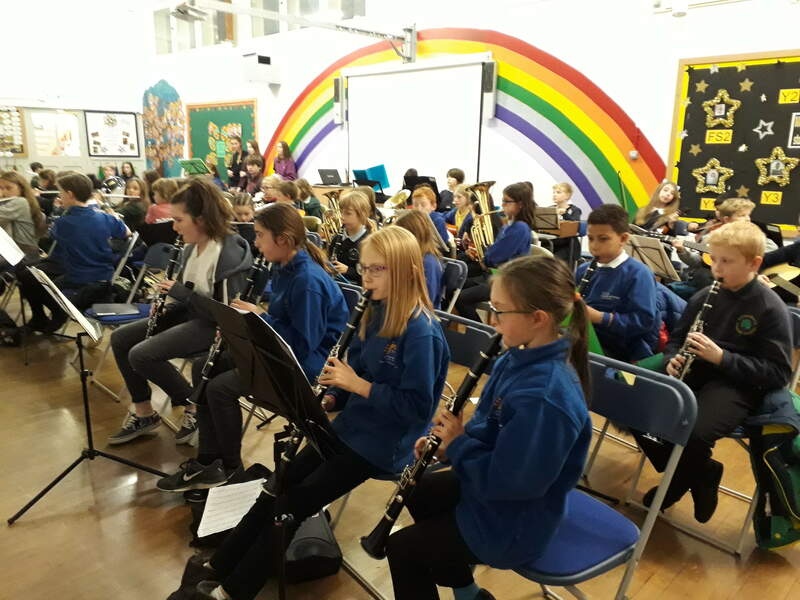 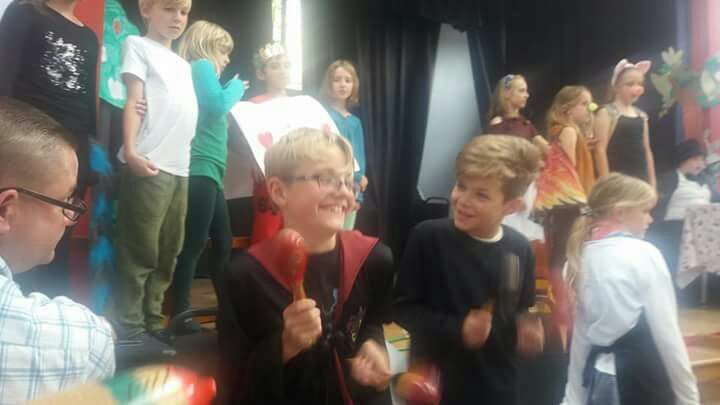 A celebration of music at Carterknowle Junior with performances from the Junior Band, Flute Ensemble, Guitar Group, Clarinet Ensemble and solos from the schools instrumentalists and vocalists. 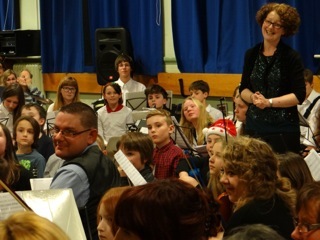 Pupils from across all our schools will join together in a Christmas Musical Celebration. 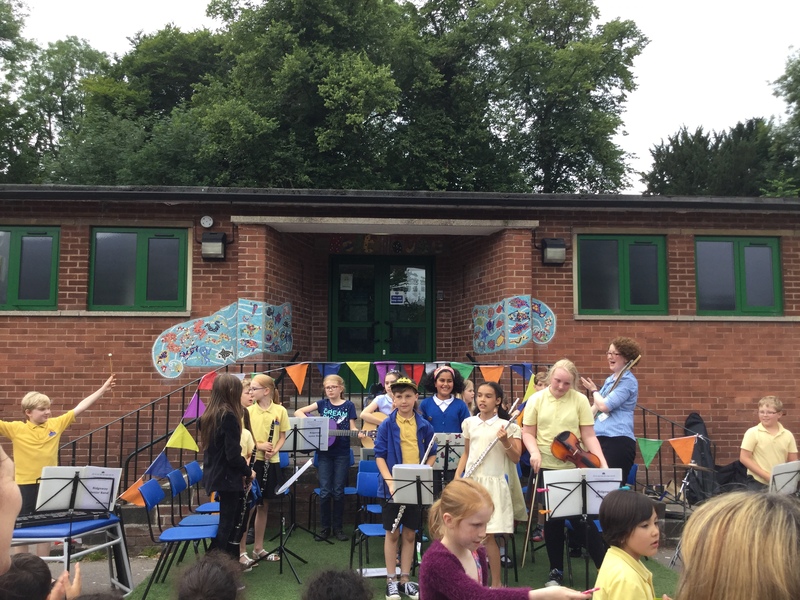 The annual Charnock Hall Primary Musical Evening featuring solos from the schools instrumentalists and performances from the Charnock Junior Band. 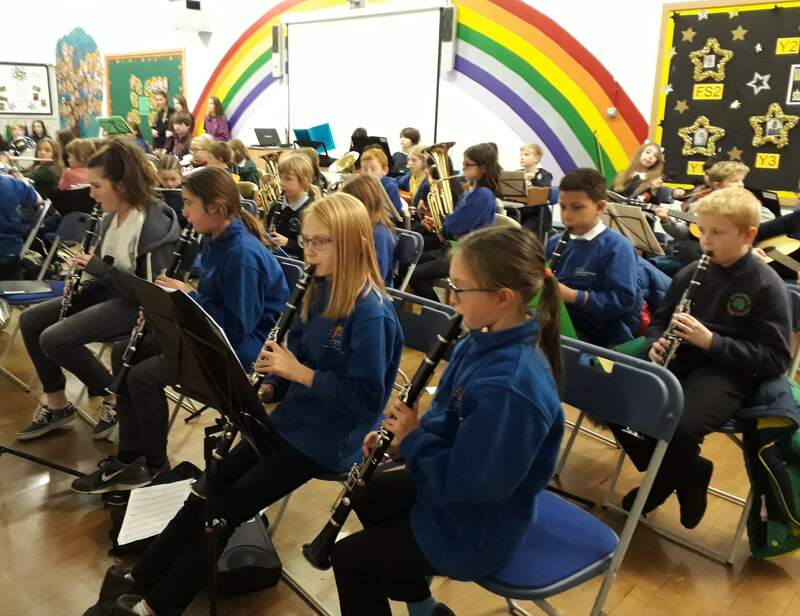 Pupils from Woodseats Primary will be joined by those from Charnock Hall Primary, Carterknowle Junior, Meersbrook Bank Primary & Hope Primary to form a massed combined junior band. 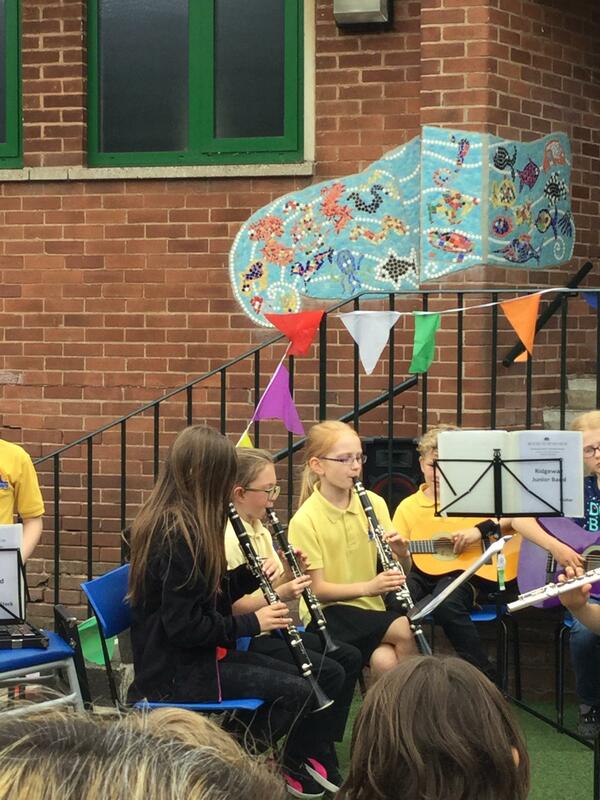 There will also be performances from Woodseats school choir, recorder and percussion groups as well as solos from Woodseats instrumentalists. 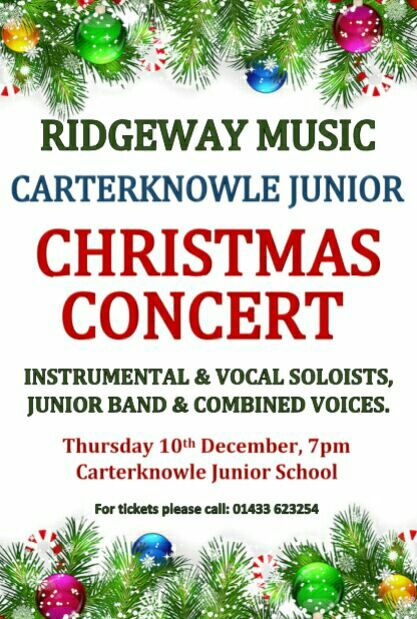 Carterknowle Junior Schools Christmas concert featuring solos from the schools instrumentalists and music from the Carterknowle Junior Band. 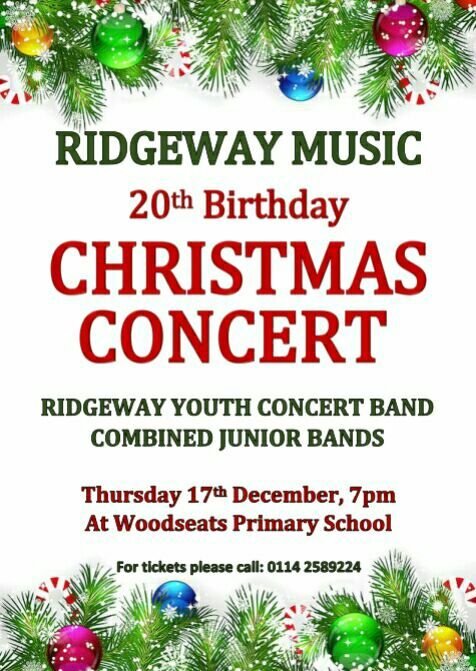 Come and join us for a festive evening of entertainment as Ridgeway Music celebrates 20 years of music making with a grand Christmas Concert. 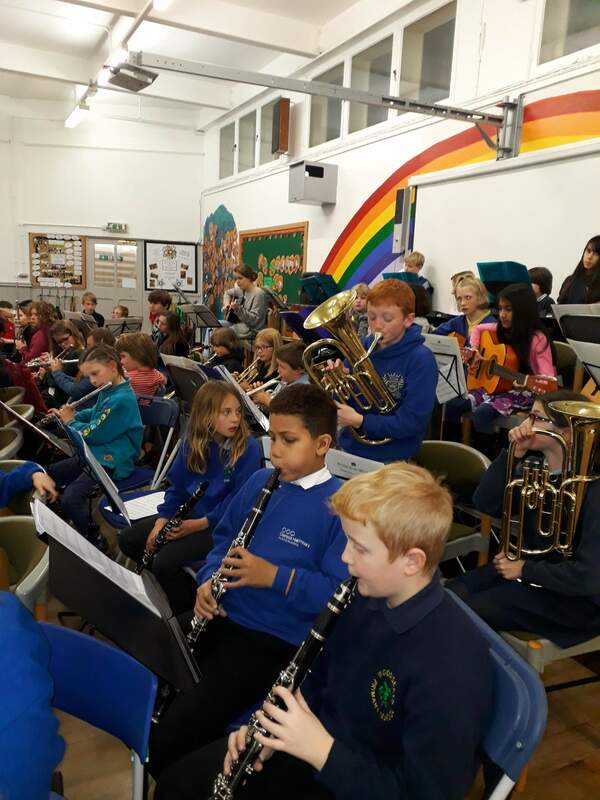 Featuring the Ridgeway Youth Concert Band alongside a massed Junior Band including young musicians from Carterknowle Junior, Charnock Hall Primary and Woodseats Primary and combined vocalists.